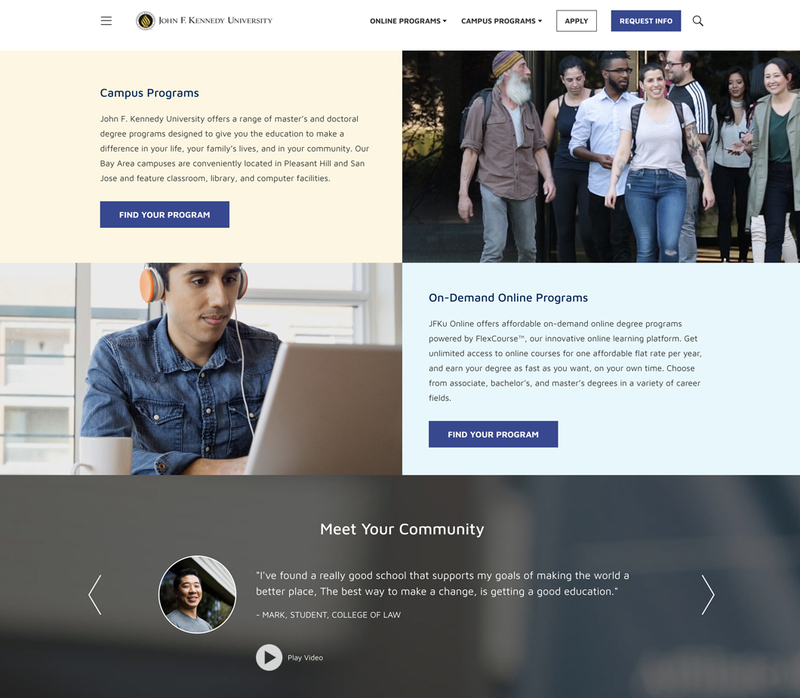 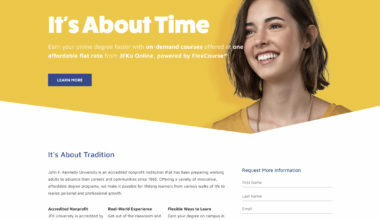 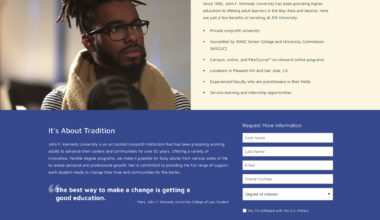 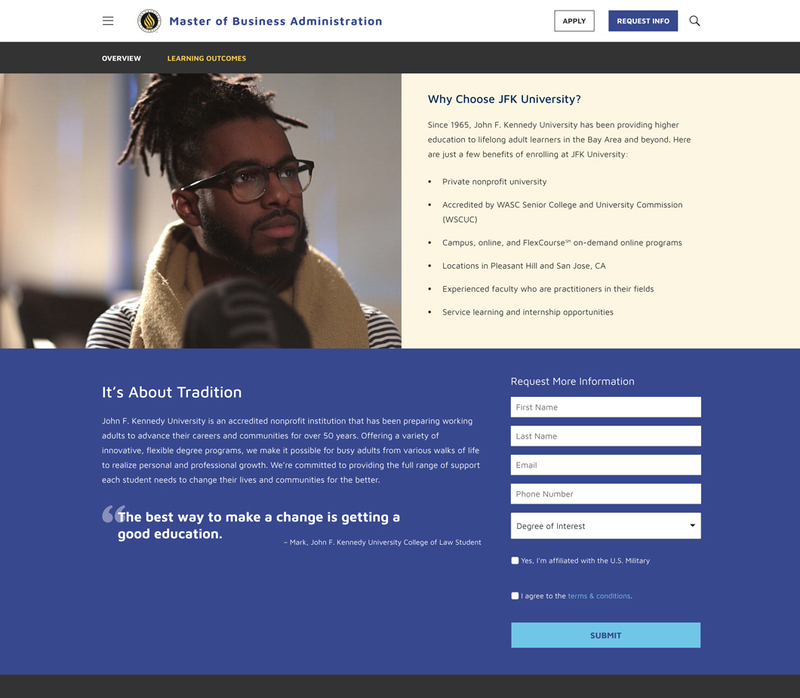 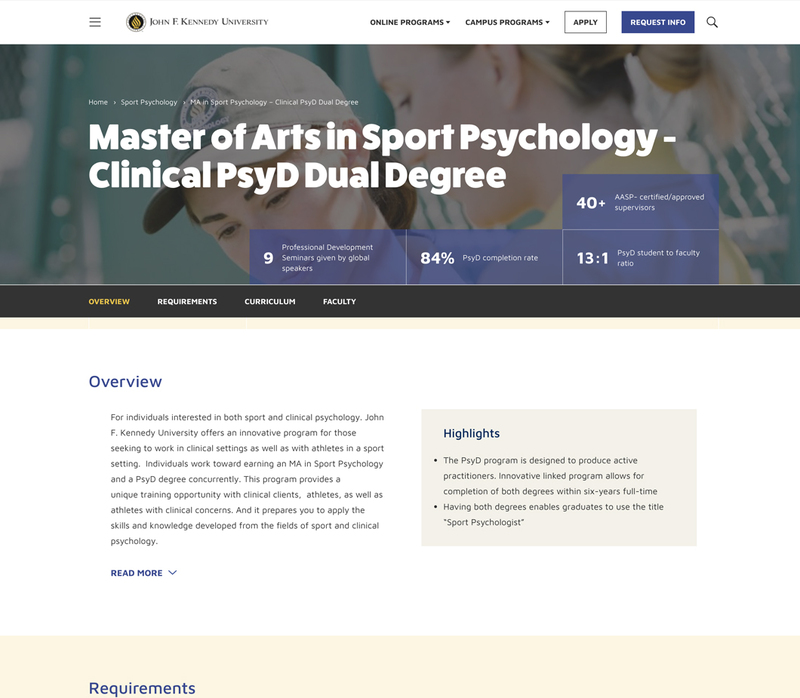 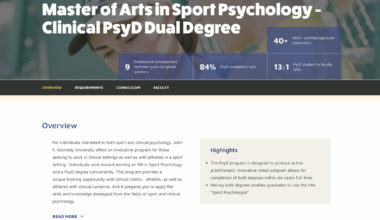 JFK University needed a new website, one that was flexible and could be easily adjusted to suite their rapidly changing needs. 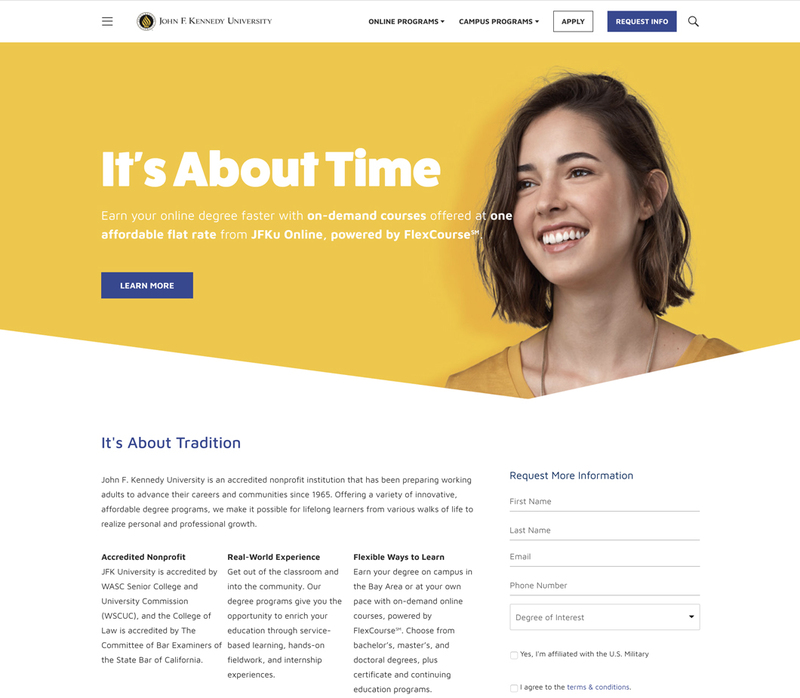 We recommended that Pointone Digital take a modular approach, rather than templates, and design layout sections that could easily be added to a page to communicate what was appropriate in each situation. 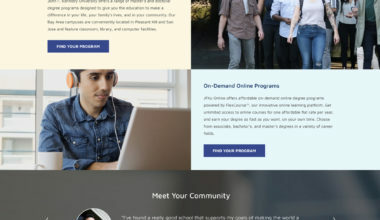 This was the approach that was used to design and build the new website.